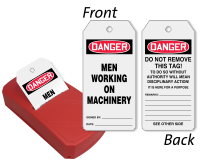 Keep your workers safe by displaying a tag saying 'Men Working on Machinery'. • 100 tags are clubbed in a convenient dispenser box called Take-A-Tag. • Tags are fan-folded and feature writable surface on front and back. 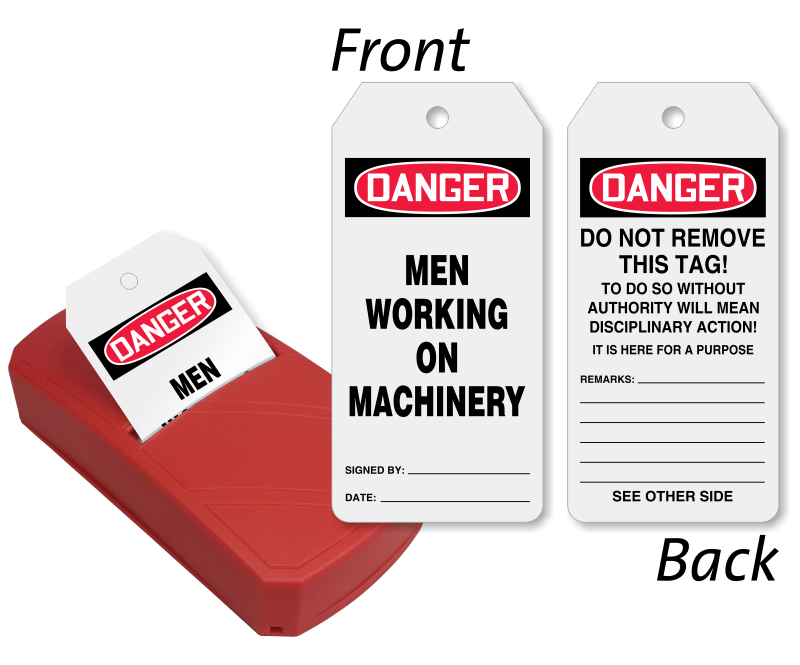 • OSHA Danger header makes the tag a hard-to-miss. • Get additional tags for refilling the dispenser here.